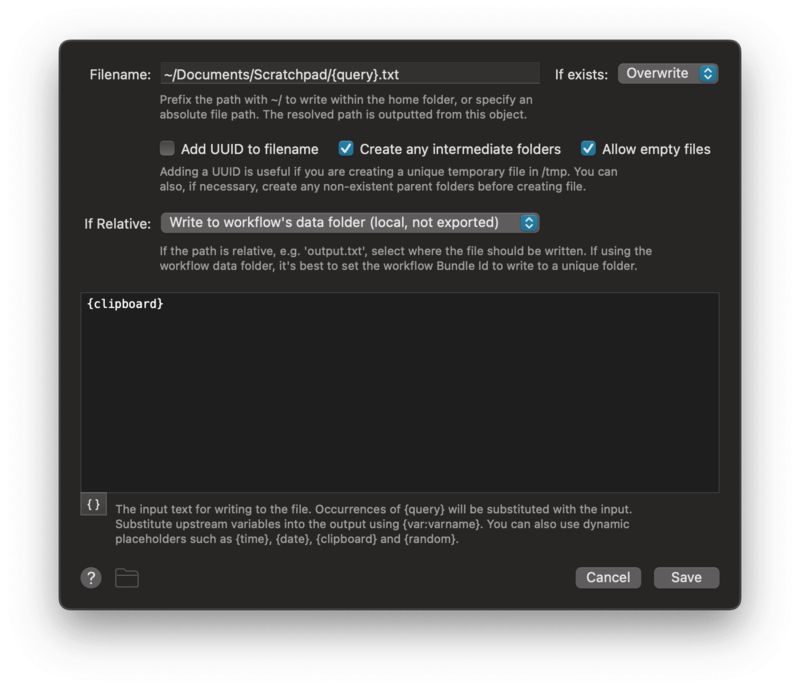 Add the Write Text File output to a workflow. Click the button in the bottom left with curly brackets and and pick one of the options from the menu. The corresponding placeholder is not injected into the text field. It works for Copy to Clipboard and Large Type, but not for Write Text File. @Tsunami thanks, I'll get this fixed in the next release.